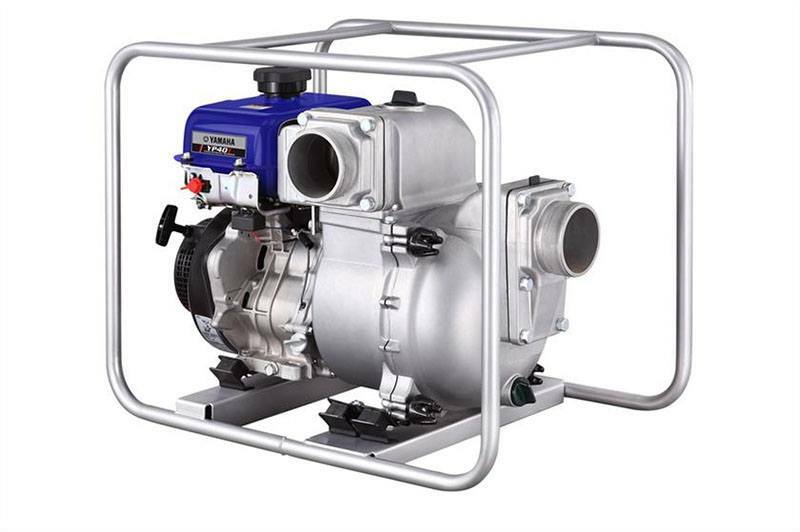 Can pump up to 449 gallons per minute and handle solids up to 1-1/16 inch. POWERFUL PUMP: Pumps up to 449 gpm (26,940 gph). Use for moving massive amounts of water. The YP40T uses a 357cc, OHV 4-stroke engine that is quieter, more powerful, and consumes less fuel than comparable engines. It has a powerful pump, pumping up to 449 gal/min (26,940 gal/hr) through a four-inch port. Delivers a 89-foot total head, with a 26-foot suction head. Can handle solids up to 1-1/16" (27 mm). 4-inch Standard National Pipe Thread (NPT) fittings connect easily with the suction and discharge hoses.